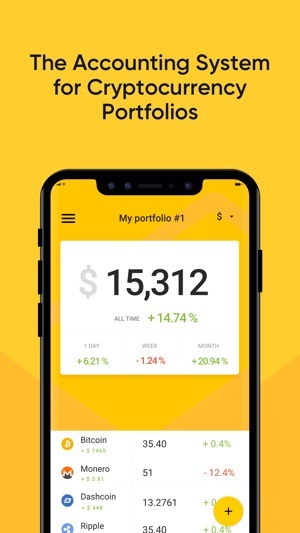 FinTab helps to keep a record of crypto currency, analyze the current state of finances on various exchanges and wallets. 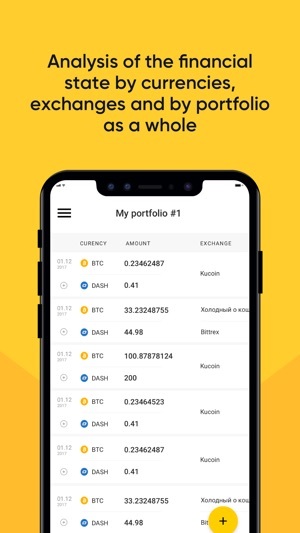 It shows the profitability by currency, by exchange and by portfolio. ― Synchronized desktop version and mobile application. ― Function of accounting of purchases, sales, exchange of currencies, accounting of transfer between exchanges. ― Adding your own exchanges and wallets. ― Calculation of changes, profit / loss and ROI by currencies, by exchanges and by portfolio taking into account multiple operations (input, output, currency exchange). ― Other standard functions (rates, reminder system, etc.). 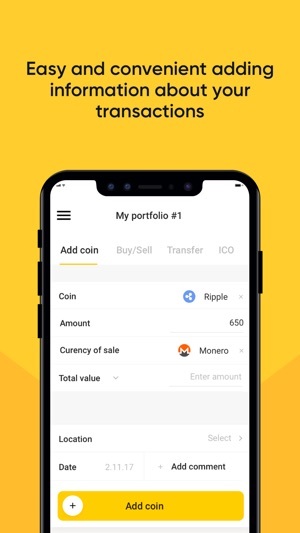 We are launching a completely updated application and we will add new functions and features step by step, and soon the application will have the same features and functionality as a web version. Please don’t hesitate to contact us at support@fintab.io for any issues you may have. In this version, we added the exchange and currency screen. Now you can view the statistics and transaction history separately for the currency and the exchange.